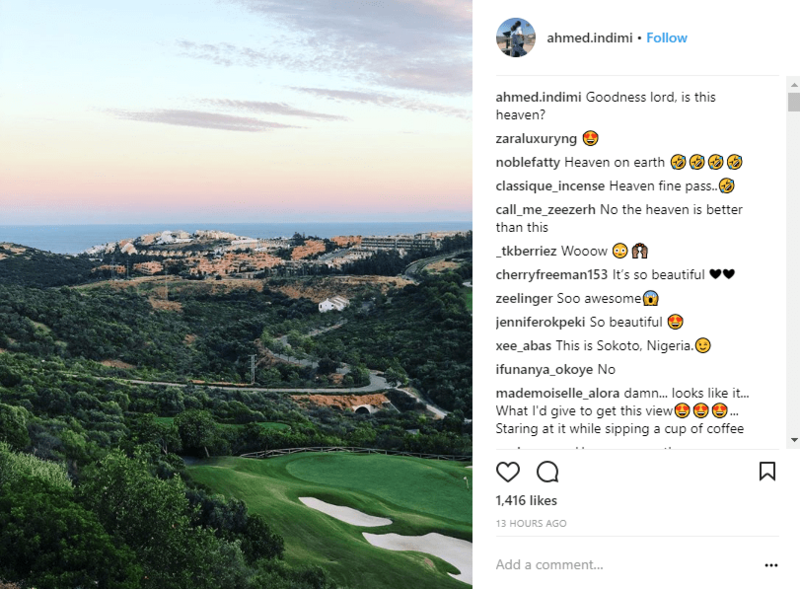 Ahmed Indimi, the son-in-law of Nigeria president Muhammadu Buhari, has slammed a follower who called him out for sharing vacation photos while Nigerians are dying daily during his father-in-law’s administration. 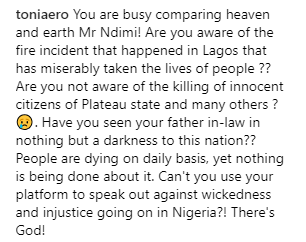 In reply, @toniaero listed out some of the problems Nigeria is currently facing, including lack of electricity, the killings in Plateau, the fuel tanker explosion along Lagos-Ibadan expressway, and more. 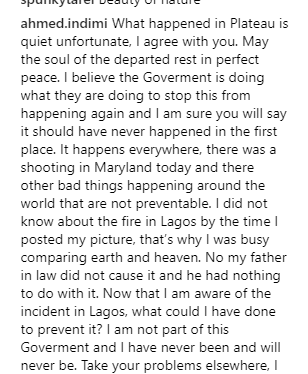 She told him it was insensitive of him to be posting such photos at a time when the nation is mourning. 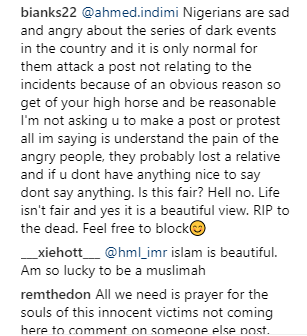 And Ahmed hit back at her! So did his followers.